"Poland says #aah!" is the largest campaign in the country dedicated to oral health. The main organizer of the campaign is the Polish Dental Association and partners: the Chief Medical Chamber, Be Active Dentist and the ewiDENTniepr agency. The idea of ​​the action is consistent with the objectives of the World Dental Federation, but the campaign also implements local goals. In 2019, the main themes are: excessive sugar intake, prevention of oral cancer and treatment of milk teeth. - map of initiatives, on the site of the Camapian authors of pro-health projects can report them on an interactive map. Events can be edited after they are completed. - educational and informational materials - as part of the campaign, a number of brochures, posters and leaflets were produced. All can be downloaded from the campaign website, also in printing files. - experts' discussions - two expert debates were carried out as part of the project. The themes were consistent with this year's campaign message. - Ambassadors are a great support for the campaign. They are well-known and popular representatives of the world of sports, music, film and medicine. 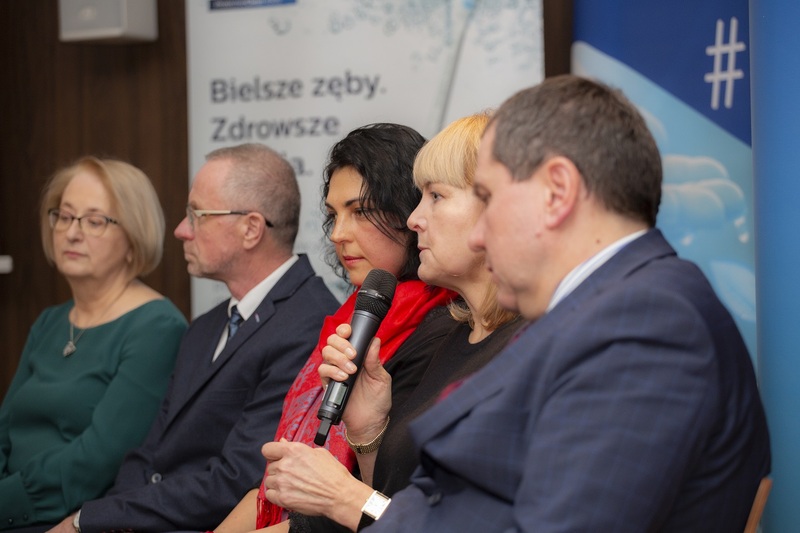 - The Honorary Patronage of the campaign included, among others, the International Chapter of the Order of Smile, the Ombudsman for Children, the Institute of Food and Nutrition, the Governor of Lower Silesia, President of Wroclaw, Medical Universities in: Wrocaw, Krakow and Bialystok. - an animated spot was produced as part of the campaign In 2019, he will see it, among others passengers of urban communication in Wroclaw. The message can reach up to 1 million people. - Wrigley mobile offices - mobile offices will be located in major Polish cities in cooperation with Wrigley. In the offices, oral inspections will be carried out. - as part of the celebrations of the World Day of Oral Health, the Polish Dental Association has passed a resolution establishing March as the Month of Oral Health.